i’m a true foodie. i watched “cooking for real” with sunny anderson on foodnetwork that featured this recipe wayyyyyy back in 2008. i’ve been thinking about making these cookies ever since. i finally did it today! i should have started making these cookies much sooner. they remind me of my favorite flavor of instant oatmeal: peaches n’ cream. just as an fyi, this recipe easily doubles. in a small bowl, whisk together flour, baking soda and salt. in a stand mixer fitted with a paddle attachment, cream butter and sugars until light and fluffy. slowly add egg and continue mixing. slowly add flour mixture, oats, peaches, pecans and white chocolate chips. mix until combined. line trays with parchment papers (or use non-stick baking sheets, like i do). with wet hands, form balls from the dough, placing evenly among the cookie trays. press down on cookie dough with the palm of your hand to make a flat circle. bake for 10-12 min. or until golden and a bit tender in the center. remove from oven and let sit on trays for 1 min. remove to cooling racks to cool completely. add ginger and/or cinnamon… the cookies may be a bit bland and a bit of spice would give them some oomph! sub. 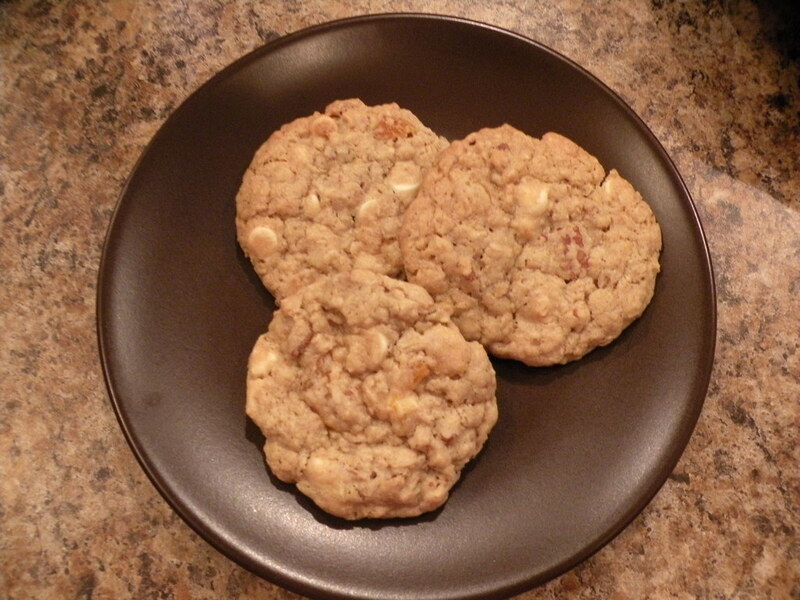 dried strawberries for the peaches and milk chocolate chip for the white chocolate chips… voila! chocolate-covered strawberry oatmeal cookies. if you try these variations, let me know how they turn out! I will HAVE to try these!!! Both varieties sound yummy!! !